Our main stage and portable staging combined to accommodate a choir. 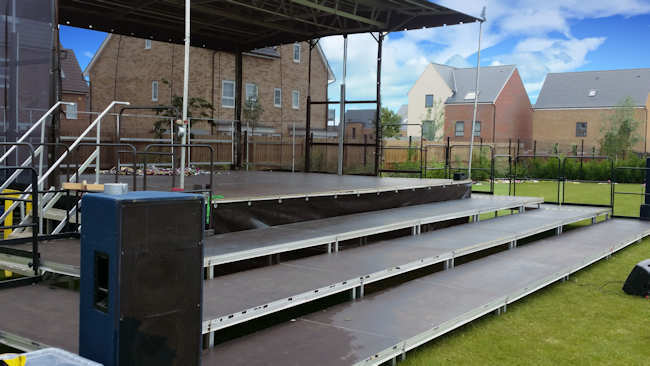 The portable staging can be put up at any height, so assuming the weather holds we can have anything from orchestras and choirs to cars and boats on it. Brian and I get the stage up quickly and efficiently and the photo of it out last week is shown above. Also, we have the Aston Martin back into action. So if you need a 1955 classic car for any photo shoots or to brighten up a display give me a call. 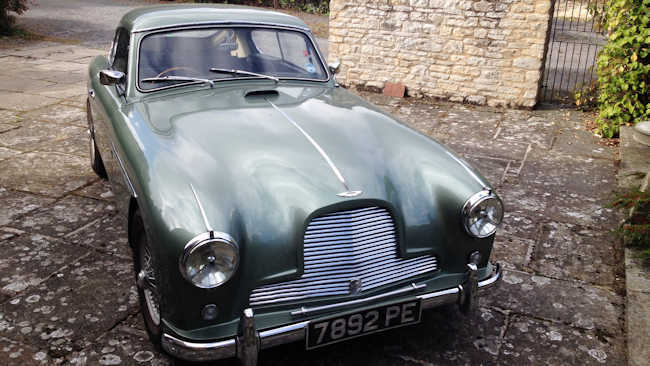 It's a DB2/4 Mk 2 and although hellishly difficult to drive, it is something of a gem. I lovingly call her Doris. Possibly the strangest thing we have ever acquired is a TukTuk bar which currently resides in The Winchester Club at Clifton Reynes where a group of eccentric people play snooker every month. 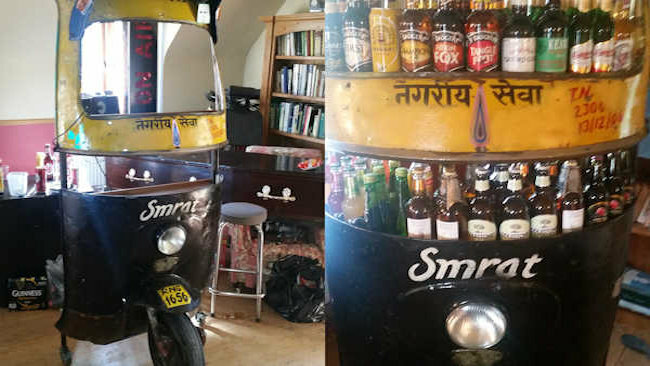 Have TukTuk Bar, will travel. 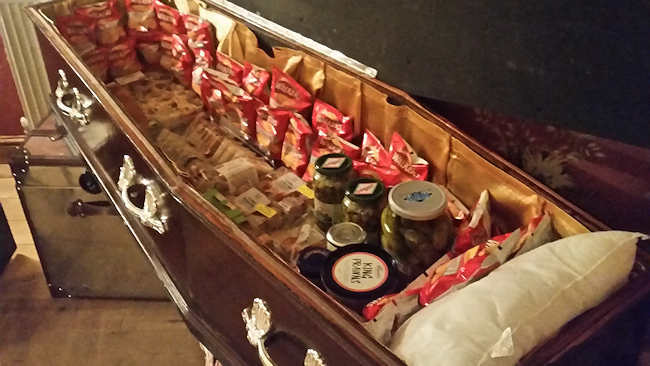 And if you can handle all that excitement, we have the coffin from the stage show of Steptoe and Son which was also used for a recent production of Dracula. It is up at The Winchester Club and is used for keeping crisps, pickled eggs and pies in. It is available without the contents of course. We haven't had a call for that yet, but you never know. So let us cheer up your event! Call me on 01234 241357 or click here to send over an email enquiry and let's see how I can help you.